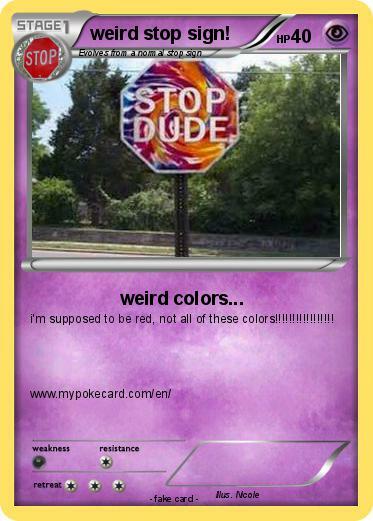 Name : weird stop sign! i'm supposed to be red, not all of these colors!!!!!!!!!!!!!!!! !